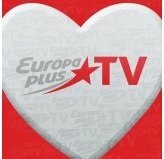 Music TV Channel / Europa Plus is Russia's first and the most popular commercial radio station, owned by the European Media Group. They started broadcasting on April 30, 1990. It is mainly formatted with Hot AC/Top 40. Europa Plus spans across Russia, Latvia, Belarus, Ukraine, Moldova, Armenia, Georgia, Kazakhstan, Uzbekistan, and Kyrgyzstan. They are one of the world's largest radio networks, broadcasting on more than 230 transmitters, on 2 satellites: Intersputnik Express 6 and Intelsat 904. Europa Plus can be found in most towns in Russia, and usually rank within the top 3 radio stations in town. Usually, Europa Plus in most towns will have some local programs in addition to replaying programming from the mothership station at 106.2 FM in Moscow.